A graduate of UCLA's renowned World Arts and Cultures Department, Tatiana Zamir has been dancing most of her life. From the moment her grandmother put her in her first tutu at three years old, creativity and movement have been center stage. 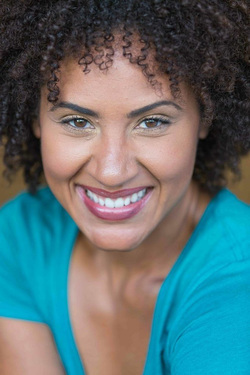 Trained in various forms of dance from all over the world, Tatiana studied at L’Ecole de Sables, in Senegal, West Africa, and traveled to Alaska, Bulgaria, Argentina, Uruguay, Namibia, Turkey, Mexico, Israel, and Cuba as a member of the One World Dance Company. She has danced with Contra Tiempo, an urban Latin dance theater company in Los Angeles, the Marshall Dance Company, (honoring the legacy of Katherine Dunham,) Flesh & Blood, a dance theater project exploring issues of HIV/AIDS for the WAC Make Art/STOP AIDS initiative, and Santa Monica College's Folklorico and Synapse, for which she choreographed three dances: Strange Fruit, Hidden Place. and Disconnected Channel. Adding to her credits, she also choreographed and performed at UCLA, Was It You? for the 2005 Student Festival of Works and presented Noble Am I for her senior project and the WAC SMASH concert in 2006. She has trained under such dancers as Ron Brown, Robert Gilliam, Loretta Livingston, Nzingha Camara, Maria Gillespie, Rennie Harris, Jeffery Paige, Karen McDonald and Babacar N’Diaye. While dancing with the Pan African performing arts ensemble, L'Esprit d'Afrique, Tatiana began her studies at the Institute of Psycho-Structural Balancing. There, she honed her natural skills in the healing arts, learning a holistic approach to wellness, and utilizing techniques based on principles of Tai Chi. After being a member of the woman’s poetry collective, Full Moon Phases, Tatiana discovered the art of combining movement with her other love: words. With a natural gravitation towards writing poetry and short stories, Tatiana is one of few artists who bridges the gap between dance and creative writing which is illustrated in her recent self produced dance theater production Moonlight Reflections . From her childhood days dancing at the Lula Washington Dance Studio and the Bahá’í Youth Workshop, Tatiana has always been on a path of movement and creativity--with a spiritually based foundation of equality, love, and social justice through self expression. Tatiana has been teaching dance for over ten years at various schools and youth centers. Her genuine love for dance and the desire to create something for all levels led to the creation of her popular Afro-Hip Hop Dance Workout. Tatiana practices bodywork in her home healing room, teaches dance classes, and waters her garden three times a week.